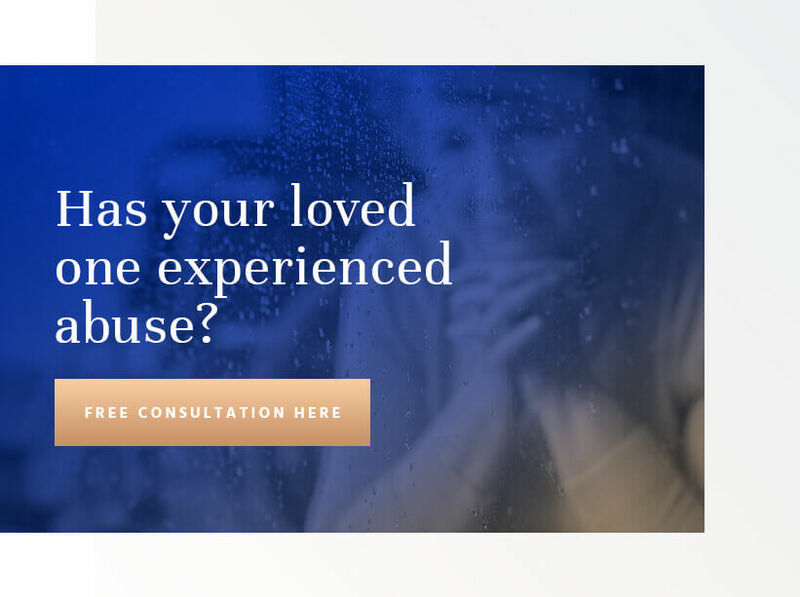 Contact the elder abuse lawyers at Colburn Law in Seattle today to obtain justice and compensation for victims who have experienced nursing home abuse. If you suspect a loved one has experienced abuse at a nursing home facility, you have legal options. Know how to recognize the warning signs of nursing home abuse and how a Seattle nursing home abuse attorney at Colburn Law can help. When our loved ones are unable to care for themselves, nursing homes provide a place for us to keep them safe and well-cared for. Unfortunately, not all facilities in Seattle provide the same high level of care, putting our disabled and elderly loved ones at risk for abuse. The National Council on Aging reports that 10% of elders aged 65 and over experience some form of abuse each year. Yet elder and nursing home abuse is a silent problem, as only 7% of cases receive appropriate attention. What are the laws against elder abuse? What is the Vulnerable Adults Act in Washington State? When should I contact a Seattle nursing home lawyer? Nursing home abuse is a crime, and the person committing abuse must be held accountable for their actions. Victims of abuse and their loved ones may file civil lawsuits on top of criminal charges. These civil actions provide important recourse for a victim by compensating for the pain, suffering, and other damages associated with the experience. If your loved one has been a victim of nursing home abuse, contact our injury lawyers at Colburn Law. Let us help you hold the guilty party responsible. We offer our services on a contingency-fee basis, which means you’ll only owe a fee for our services if we win a settlement or court judgement. Washington State Legislature Chapter 74.34.021 outlines the state’s laws for abuse of vulnerable adults. The state imposes laws for the protection of “frail elders and vulnerable adults,” as well as rules for how nursing homes must respond to and report incidents. The law defines “vulnerable adults” as those over the age of 60 with physical, mental, or functional inabilities to care for themselves. “Vulnerable adults” can also refer to younger people with developmental disabilities who live with adult family members, in nursing facilities, or receive in-home care. Washington law protects vulnerable senior citizens from acts of abuse or neglect. This includes protection from someone abandoning them, inflicting physical or mental harm, failing to provide necessary goods or services, or compelling the senior to perform acts or services for the perpetrator’s benefit. All nursing homes in the state have a legal obligation to reasonably ensure residents’ physical, emotional, and psychosocial well-being by preventing these injuries to those over the age of 60. The law gives vulnerable adults who suffer abuse, neglect, abandonment, or financial exploitation the ability to bring personal injury claims against the responsible nursing home, employee, family member, or other party in the state of Washington. The law also mandates that anyone with reasonable cause to suspect nursing home abuse must immediately report it to the department. Failure to immediately report abuse incidents is a misdemeanor. Contact a lawyer to find out if you have grounds for a civil claim in Washington. Washington State Legislature created the Vulnerable Adults Act of 2009 to better protect the state’s elderly. The Act added mandatory criminal sentencing for crimes against the elderly, strengthened protections by clarifying the statute’s definitions, and created a database open to the public to search for vulnerable adult abuse/neglect perpetrators. Senior citizens enjoy stronger protection from abuse and neglect under the Vulnerable Adults Act. In recent news, the Washington House Bill 1388 will go into effect July 1, 2018. This bill will make amendments to dozens of state elder abuse statutes, transferring the state behavioral health authority from the Department of Social and Health Services to the Health Care Authority. The goal of HB 1388 is to make the state government more efficient and responsive to resident needs. Current elder abuse and neglect laws will change to further clarify definitions. Washington laws enable an abused senior citizen or a loved one to go to court in pursuit of financial recovery for hospital bills, physical pain, emotional distress, lost wages, wrongful death and other damages in the face of nursing home abuse or neglect. A person who meets the criteria for a “vulnerable adult” in the state of Washington enjoys special protection from abuse, neglect, abandonment, and exploitation. Talk to a nursing home abuse attorney right away if you believe you have the elements of an elder abuse claim. Nursing home abuse and neglect cases aren’t the same as other personal injury claims. They are unique and involve special statutes and rules for filing the claim. Navigating all of Washington’s laws during a nursing home abuse page can be difficult without help from a nursing home neglect attorney in Seattle. The types of evidence you need, your filing procedure, and how you will present your case can all change according to the specifics of your loved one’s injuries. The better your attorney, the better your chances of securing damage compensation. Contact our nursing home abuse lawyers today at Colburn Law. The experienced nursing home neglect lawyers at Colburn Law understand the nuances of Washington’s nursing home abuse laws, including the latest updates as of July 1, 2018. We can help victims of elder abuse and neglect, guiding them through the legal web with confidence. Bringing your claim might require gathering evidence, hiring experts, talking to eyewitnesses, reviewing medical records, and many other steps. We have the resources and experience to easily handle these feats. While many Americans entrust nursing homes and assisted living communities to care for their elderly loved ones, many elderly individuals suffer various types of abuse at the hands of caregivers and nursing home staff. As many as one in six nursing home residents may encounter abuse in a U.S. nursing home each year. A victim of nursing home abuse is 300% more likely to die in the three years following an episode of abuse. Recent Congressional reports indicate that as many as one in every three-nursing home received citations for potentially harmful safety violations. About 10% of all U.S. nursing homes received citations for violations that caused actual harm to residents, including serious injury or death. Surveys of nursing home residents report that about 44% of nursing home residents have encountered some type of abuse during their time in nursing homes and almost every respondent (95% to be exact) reported witnessing neglect of another resident. Another troublesome statistic comes from the United States General Accountability Office, which states that 70% of state surveys missed significant issues in U.S. nursing homes and 15% failed to notice actual harm to nursing home residents. These reports have led to a recent rise in anti-elder abuse legislation, but, despite these new laws, nursing home abuse continues to occur in the U.S.
False imprisonment is a serious offense that occurs when a staff member prohibits a resident from leaving a designated area. For example, a staff member may trap a resident in their room by taking away their source of mobility (cane, wheelchair, etc). Neglect rises to physical abuse when it leads to probable or actual harm. Bedsores, also called pressure ulcers, may indicate neglect. Financial abuse occurs when a staff member coerces a resident to amend wills or deeds or makes excessive charges to their accounts. Emotional and mental abuse involves manipulation or harm that may lead a resident to fear for his or her safety or well-being, or the well-being or safety of others.